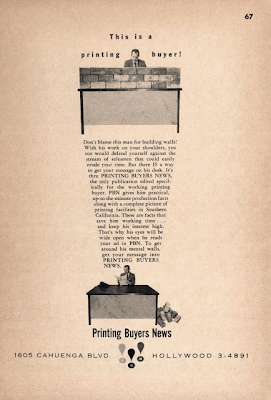 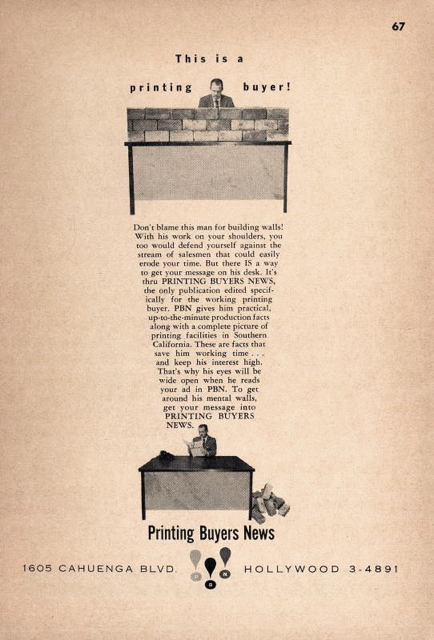 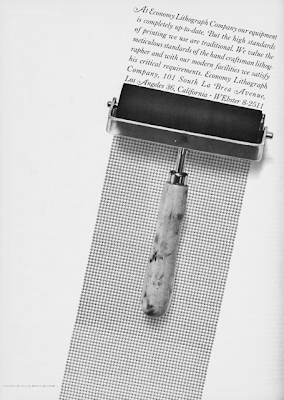 Full page advertisements from Los Angeles printing trade journals belonging to BustBright. See the entire collection here. 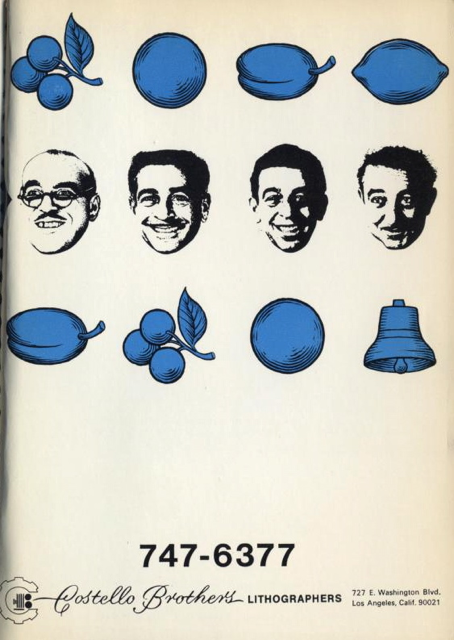 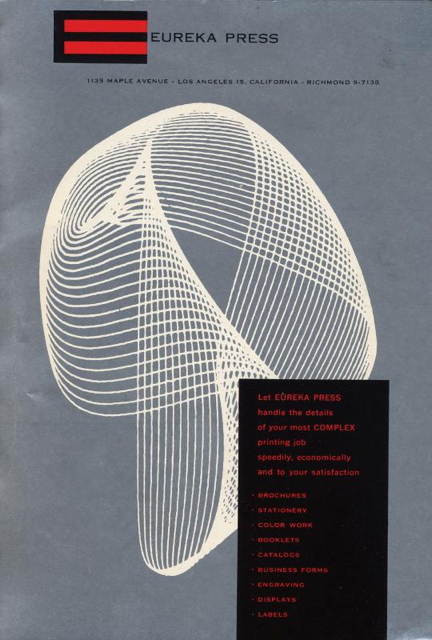 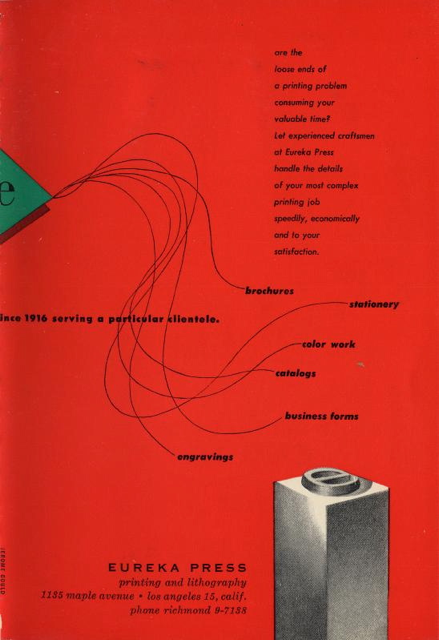 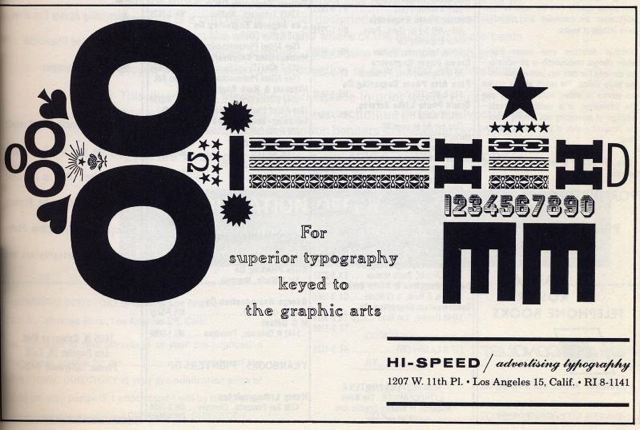 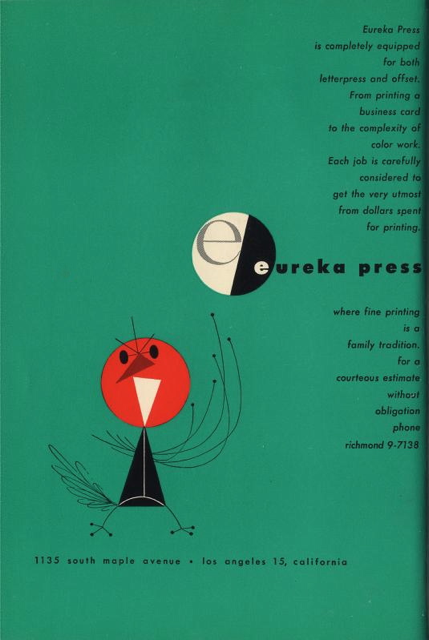 Jerome Gould possibly designed the Eureka Press ads.